April 1, 2019: Awaiting the pre-construction meeting with the contractor. 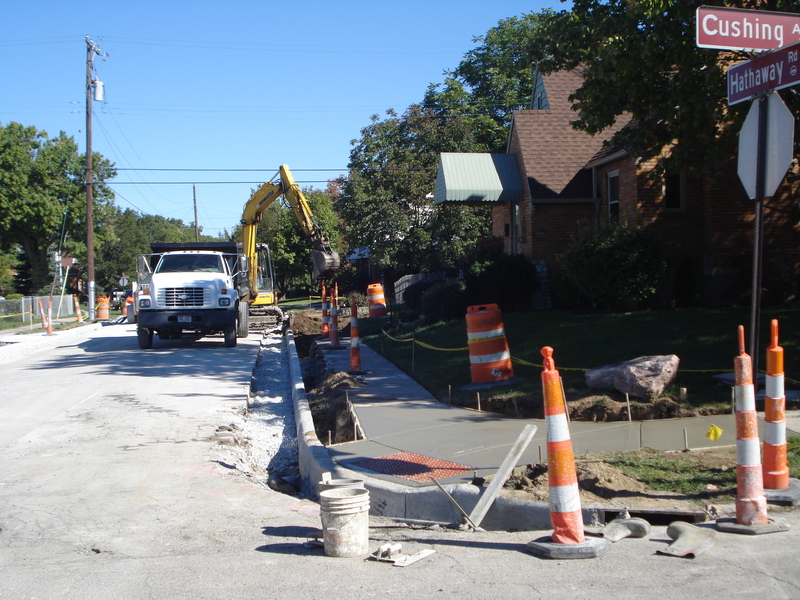 This project includes concrete repair of deteriorated curbs, sidewalks and drive approaches. Property owners will be responsible for the necessary repairs to the curbs, sidewalks, and drive approaches and will be assessed the cost for the repairs. After the concrete work has been completed, the roads will be milled and repaved. The project will include improvements on Ascot Court, Benfield Drive, Bentwood Court, Kenosha Road, Sinton Place, Stoneview Court, Twinbrook Lane, and Oakmont Avenue (from Benfield Drive to Lincoln Park Boulevard). These streets are highlighted in orange on the map below.